P.J. 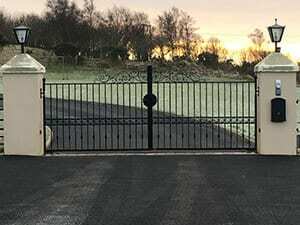 Designs based in Drumkeen, Co Donegal are one of Ireland’s leading manufacturers of wrought iron and stainless steel furniture and architectural ironwork. 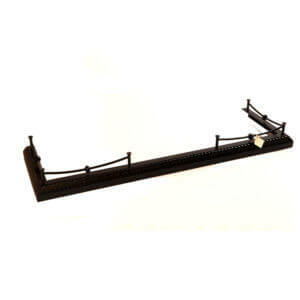 Our Online Store has a full range of wrought iron products such as seats, beds, mirrors, lamps and much much more. Staircases are an integral part of any home. 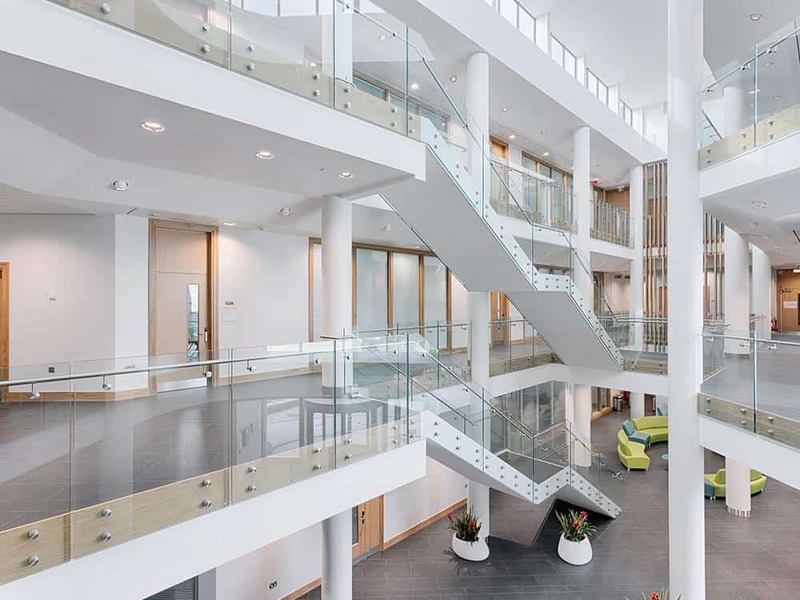 Pj Designs create eye catching staircases in wrought iron and stainless steel. Gates and railings are a speciality of Pj Designs. 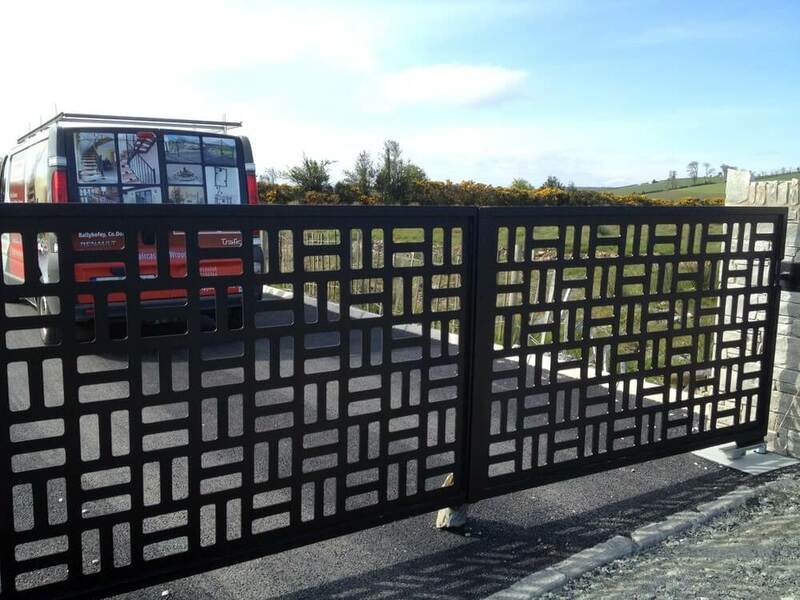 Our gates and railings can be seen throughout Ireland adorning both homes and businesses. 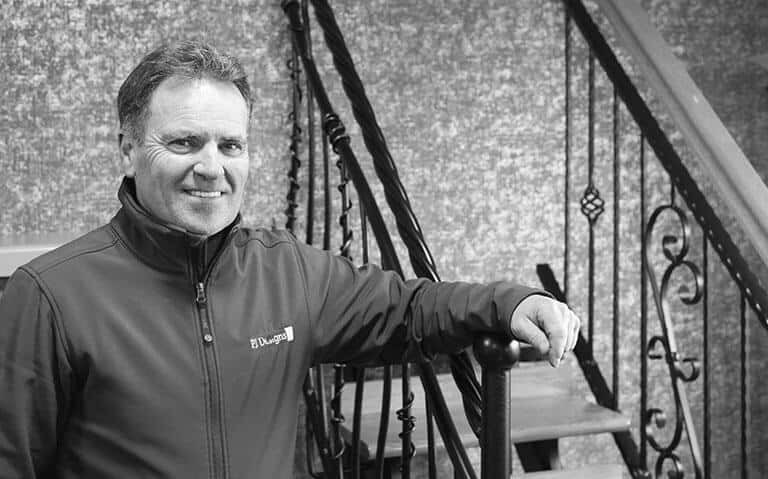 Based in Donegal Irish Designer PJ Patton creates a wide range of distinctive iron work for interior and exteriors. 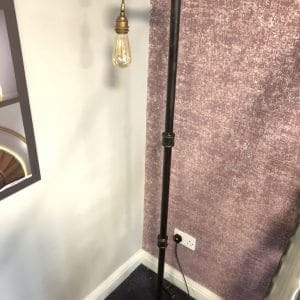 Our interior ironwork includes Fireplace Fenders, Overmantel Mirrors, Wall mounted sconces, seating, beds, candelabra and lighting. Our quality designed pieces are ideal giftware and a complement any interior design. All of the products on this website are available for purchase online. We accept credit card payments via Paypal. Each item is shipped securely using couriers. 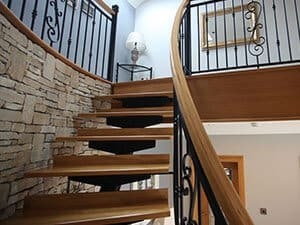 In addition to furniture products PJ Designs manufacture quality wrought iron and stainless steel products such as railings, stairs, gates and other ironwork. Read our story…. Do you wish to furnish your new home? Are you planning on changing the theme of your house? Renovating your living room can be fun and overwhelming at times, but you can never go wrong with our innovative Industrial Pipe Coffee Table. Whether you’re searching for something more modern or contemporary, this coffee table can enhance the motif of your living room and match your home decor. 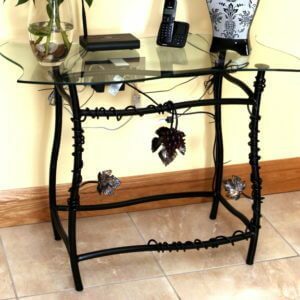 This unique coffee table features a tempered glass top and sturdy wrought iron which is handcrafted by PJ Designs in Donegal Ireland. Our coffee table contains ample space for your decors, coffee table books and accessories. 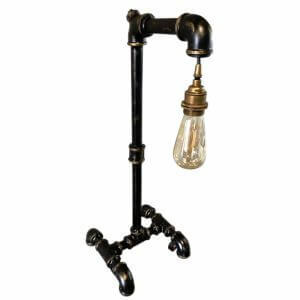 Whether you’re searching for something more modern or contemporary, PJ Designs Industrial Pipe Hall Table can enhance the motif of your hallway and match your home decor. 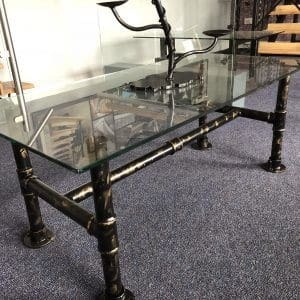 This unique coffee table features a tempered glass top and sturdy wrought iron which is handcrafted in Donegal Ireland by PJ Designs. 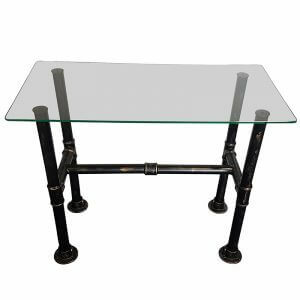 Our Industrial Pipe Hall Table contains ample space for your decors, coffee table books and accessories. The bedroom is the perfect place to unwind after a long day. It’s also encouraging to get that extra sleep and curl up in bed when you don’t have school or work. Since the bedroom is your sanctuary, the best investment you can make is a comfortable and stylish bed. 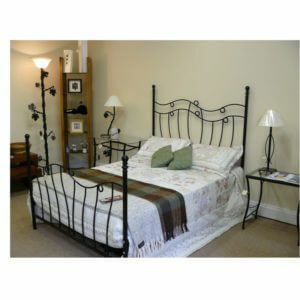 Our Circle Bed jazzes up your bedroom with our handcrafted wrought iron design from Ireland. It adds character and transforms your bedroom into a peaceful haven. You can bet on having a stylish slumber time with our Circle Bed. Nothing beats staying indoors during the winter season. Spending quiet and intimate evenings by the fireplace in your pajamas on a chilly night is always relaxing. Since you only get to use your fireplace during the cold weather, how about adding a finishing touch with our Boss Fender. Our wrought iron Boss Fender is finely crafted by hand in Donegal Ireland and can last a lifetime of winter seasons. Give your fireplace a new look with this stellar design and let your evenings be memorable and warm. Are you hoping to add more flair to your home decor? Do you need to revamp your space? Do you want your restaurant to look more elegant? Candles are known to light up any room, but candles look boring without a candle holder. 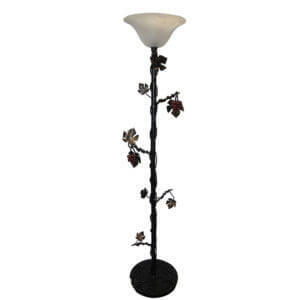 Adding a Single Grape Vine Candle Holder will surely compliment your home, restaurant or establishment. 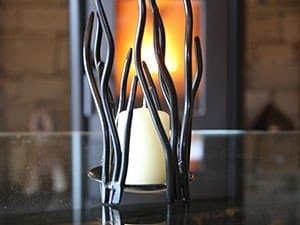 Embellished in wrought iron to give that classy finishing touch and turn your candle holder into an extraordinary home accessory. 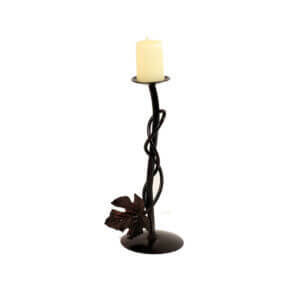 The Single Grape Vine Candle Holder can be used indoors and is also an ideal gift for your loved ones. When you’re decorating your new home, what better way to add a dash of flavor and create a statement with a mirror. Displaying a mirror in your living room or bedroom can accentuate the dimensions and maximize the space. However, mirrors can look plain and boring without borders. 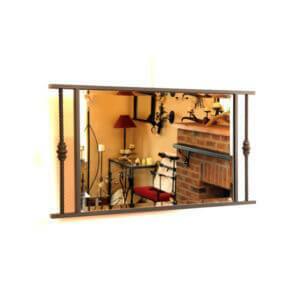 Our Rectangle Collar Mirror spices up your room with our hand-made wrought iron design from Ireland. Whether you want something bold or conservative, our Rectangle Collar Mirror can match the motif of your room and transform the look you envisioned it to be. When you’re decorating your new home, what better way to add a dash of flavor and create a statement with a mirror. Displaying a mirror in your living room or bedroom can accentuate the dimensions and maximize the space. However, mirrors can look plain and boring without borders. 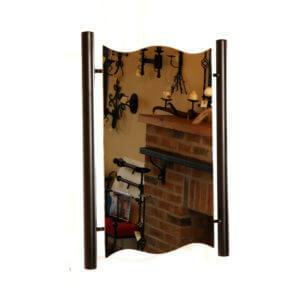 Our Black Wave Mirror spices up your room with our hand-made wrought iron design from Ireland. Whether you want something bold or conservative, our Black Wave Mirror can match the motif of your room and transform the look you envisioned it to be.